Frittatas are a good way to get more vegetables into your diet. I made this one with green vegetables because there happened to be a lot of green vegetables in my fridge. My photo of ingredients got messed up, so I’m skipping straight to the ingredients list. Preheat the oven to broil. Heat oil over medium heat in an oven-safe cast iron skillet. 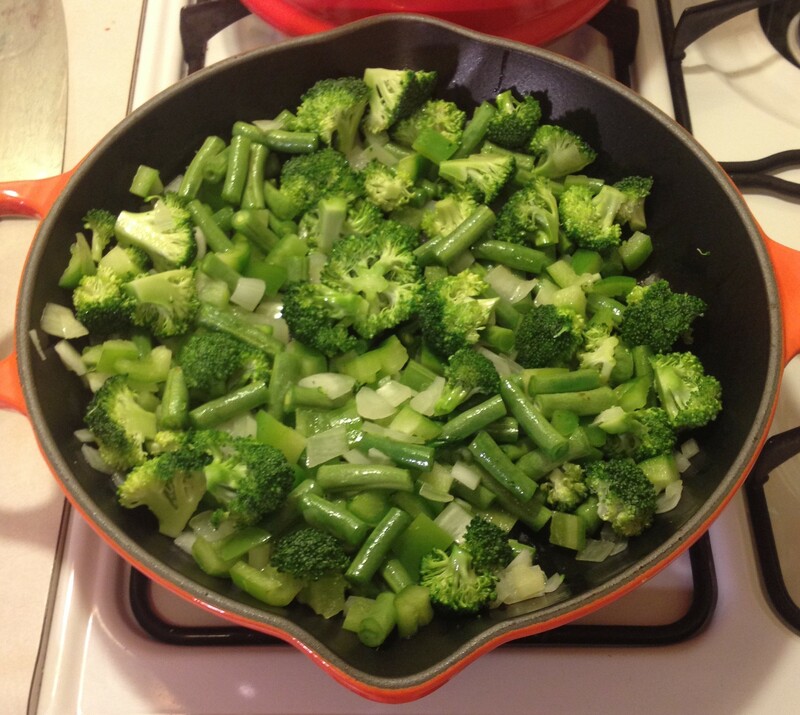 Add onion, bell pepper, broccoli and green beans. Sauté for 5 minutes. Add water and cover skillet with a lid to trap the steam. Reduce heat to low and cook for 5 minutes. Beat eggs with salt, pepper and Italian seasoning. Remove the lid and add the eggs to the skillet and cook for 4 minutes. Move the skillet to the preheated oven and cook for 4 more minutes. 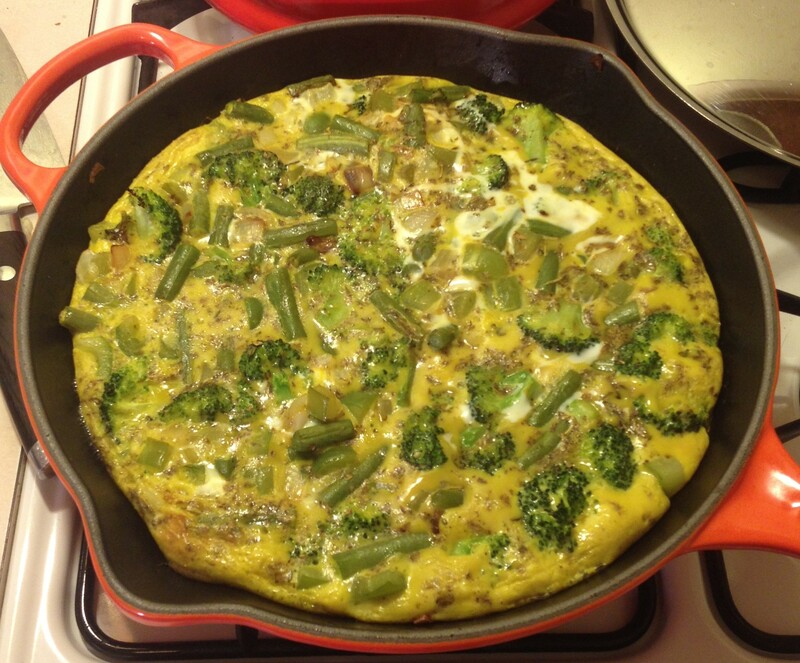 When the frittata is done the eggs should be set but not brown. Eggs – I buy eggs in paper cartons. in Guelph the farmers’ market takes back egg cartons for reuse, but in California this is illegal to do. So I recycle egg cartons. 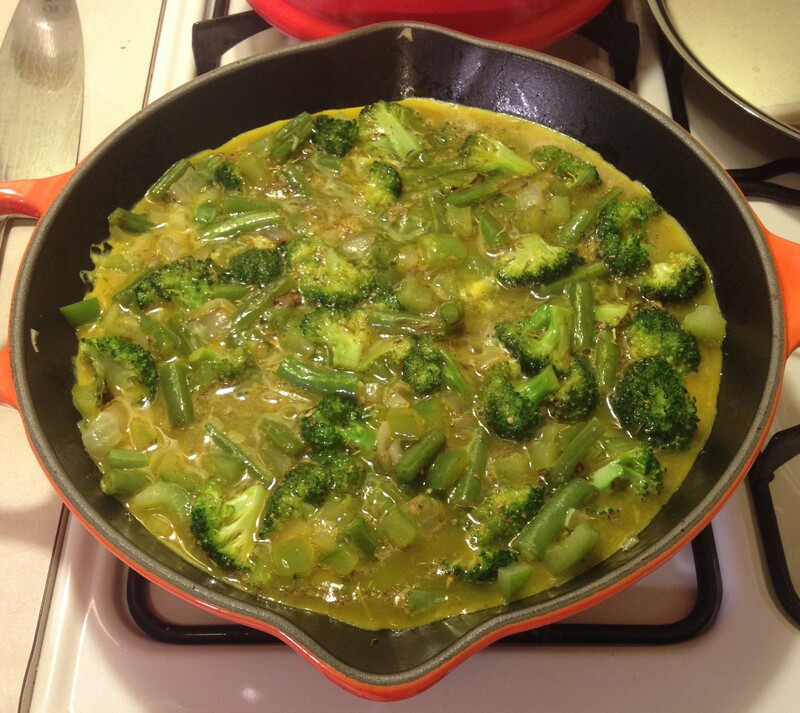 Another yummy recipe – thanks! I have a friend with ducks and geese who is happy to have used egg cartons. And another friend who collects them for an art teacher to use for student projects.